Has this week flown by for you? My goodness…it’s hard to believe it’s Friday already, but it is! And around these parts, that means it’s party time! Thank you for hosting each week, Kristi! I hope you have a fabulous weekend! I don’t know what it is about your link party but you always seem to attract the best projects, Off to pay a few of them a visit. Thanks so much for hosting. It’s because I only allow really super talented people to read my blog. 😀 LOL…just kiddin’. Thanks for hosting, Kristi! It’s so much fun to see what everyone is working on! Hi! Thank you so much for hosting the party. I tried several times to get your button to link up on my blog and for the life of me…..I have no idea why it is just showing a box 🙁 I definitely selected all the html text but still no button so I just did a text link back. I hope that is ok. Just linked up my couch I cut in half with a sawzall 🙂 Looking forward to checking out the other links. Have a great weekend! Hi Kristi! This is my first time linking up to your party! Thanks so much for hosting! Can’t wait to take a look at the other inspirational links here! I am your newest follower. Please visit my blog and say hello sometime – I love to make new bloggy friends and follow me back if you would like 🙂 Have a wonderful weekend! Hi Kristi! Love the party:0) I couldn’t get the button to work, so I linked up a text link. Thanks for hosting! Love everyone’s ideas!!!! Hi Kristi, Thanks a lot for the feature! As always, what a Great Party! Thanks for hosting! Thanks for hosting! This is our first time linking up here, but we chatted with you at the #Haven2012 Twitter chat this week. We’re super excited for Haven and can’t wait to meet you and all the other awesome ladies! So many great projects, but I have to say, that DIY trundle coffee table is AMAZING!!! Might have to make me one of those! Thanks for hosting! 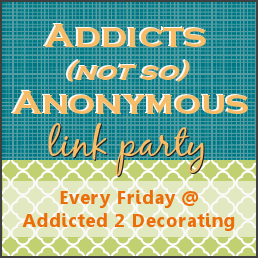 Finally decided to try my first link party here! Really enjoying all the projects here. 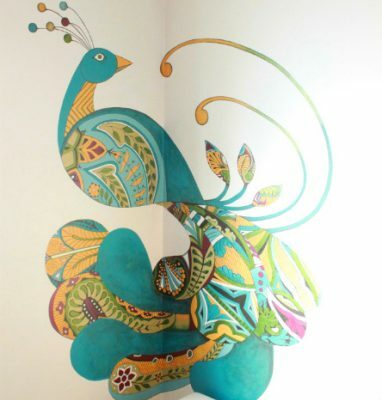 i have added my bathroom makeover to your linky party. you had contacted me back in november to feature it but my server will NOT allow me to respond to your email. after “cleaning” out my inbox, i rediscovered your initial contact and still could not respond. i hope you didn’t think i was being rude! thanks for the opportunity to link here. have a great weekend. Thanks so much for hosting! Have a wonderful weekend, too!